Quick Draw Payroll is your Top Rated Local® Payroll Company in Medina, Texas. We are experts at helping our clients achieve their full potential by providing them with world-class payroll services, tax planning and preparation. Our business solutions are custom designed for your company’s goals and financial situation. We’re proud to operate out of the Bandera area and be a major supporter of small businesses in Medina and the surrounding areas. Whenever you need us, give us a call and we’ll work closely with you to set a plan in place for your company’s future. Quick Draw Payroll is a family owned organization based out of Bandera, Texas. It was conceived with the intention to help small businesses succeed in a challenging marketplace and to help the Texas community as a whole. We are members of the Bandera and Kerrville county chambers of commerce and take every opportunity we can to help out our community. Each time you call Quick Draw Payroll, you’re trusting in a company that is committed to your success no matter your situation and no matter what your goals are. We work hard each and every time in order to align our strategy to your company’s situation, allowing us to smoothly transition with your business practices and become a valuable asset to you and your business. At Quick Draw Payroll, we understand the importance of having a company at hand that you can rely on when you need them the most. Our highest priority has always been to create loyal clients by delivering exceptional services, providing exciting opportunities for our employees, and supporting our local community through charitable contribution and local business support. By doing this, we’re not only providing you with a service that can’t be beat by any other company, but we’re creating a more cohesive and committed relationship with businesses in our community—something that’s very important to us. 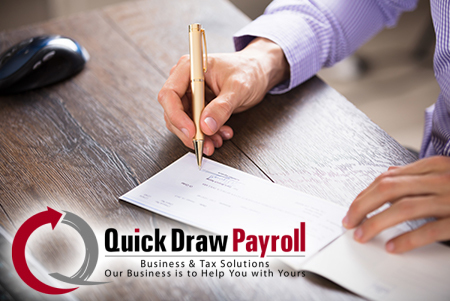 Over the years, Quick Draw Payroll has helped businesses with bookkeeping, taxes, and payroll services. As we grow and offer more services, so too does our strategic business consulting, allowing us to better maximize revenue, reduce costs, and plan for our clients’ future. If you have any questions about our company and how we are able to offer industry-leading consulting to every one of our clients, contact us today. 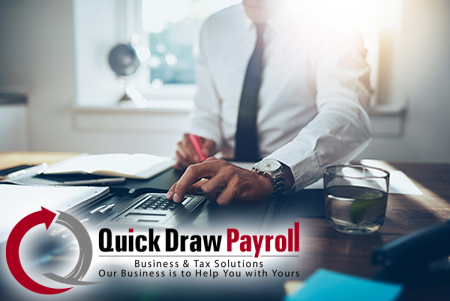 Quick Draw Payroll will assist you and your business in the areas of general business operations, tax planning and preparation, and custom business solutions. Our diverse set of business solutions help companies plan their business model, operate their business, and address challenges associated with complying with federal and state regulations. As a result, these companies will see an increase in revenue, reduction in costs, smoother and more refined business practices, and a greater sense of security in a competitive marketplace. No matter what industry you’re in, Quick Draw Payroll has the long-term financial solution for you. Visit our testimonials page to see what our clients are saying about us. When you’re running a business, it’s important that your time and effort are focused on your core business operations. Without a great leader who knows the industry and who knows how to analyze data and market trends in order to boost revenue and reduce costs, the company would likely be lost in a sea of other companies who are trying to do the exact same thing. Our general business operation services are custom designed for your company allowing us to run the ‘business’ of your business while you focus on driving sales, strategic decision making, customer development, and improving the efficiency of operations. Many business owners will attempt to manage business operations on their own, without the help of a professional accountant or bookkeeper and often times, don’t have the funds to keep an in-house accountant on hand at all times. However, when you’re a part of a competitive industry, the only option is to run a company that is constantly growing. When this is the case, you’ll need to know when it’s the right time to commit to hiring a professional accountant to handle your finances. Quick Draw Payroll will be there when that time comes; just give us a call and we’ll give you a free consultation. In order to have an effective payroll process, all of these components need to be taken into consideration. As tax regulations change and your company adds employees, you need to have an experienced accounting working for you who won’t make errors during this important process. Another benefit associated with payroll outsourcing is the convenience of receiving financial reports and updates on your company’s payroll. Having accurate information about your payroll situation is essential for you to be able to make important decisions about your company’s future. A certified accountant will not only prepare this information, but help you analyze it. All that’s left for you is to make the important decisions. As with payroll processing, you need to have an experienced professional doing your bookkeeping in order to ensure accurate transaction processing, accounts receivable, accounts payable, and stay on top of financial statements that contain information that is essential for you to manage your company. If you’ve attempted to manage your bookkeeping by hand or used a program like QuickBooks, you may need to repair your books. A certified accountant at Quick Draw Payroll will take a look at your accounting history and work quickly to eliminate any errors and set a plan in place to prevent these errors from recurring. If you’re running a startup company, chances are you don’t have much to go off when it comes to accounting. Maybe you don’t have a solid foundation for services you offer, your management team isn’t set in place, or you haven’t yet incorporated your business. During this time, your financial future can seem uncertain. An accountant will be able to analyze your current financial situation and set a plan in place, reducing risk and helping you get a return on investment as quickly as possible. If you’re starting a business in Medina, contact your Top Rated Local® Business Solutions company Quick Draw Payroll. Tax planning is the process of arranging your business in a way that will reduce the amount of money you owe in taxes. Whether you’ve just started your first company or you’re an experienced business owner, there is always room to implement a plan that will cut costs and make your company efficient. Since tax regulations are constantly changing, you need an accountant that knows what will save you money and how to secure a plan for your company that will reduce your tax burden as much as possible. 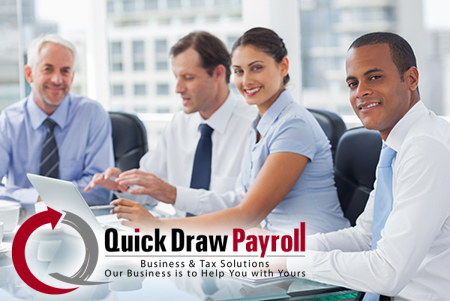 At Quick Draw Payroll, we do corporate, personal, partnership, trust, and non-profit tax planning and preparation. Contact us today to get started. Are you starting a business and need help navigating the legal, financial, and structural side of things? Quick Draw Payroll has small business solution services that will help you articulate your vision to potential investors and generally help entrepreneurs turn their vision into a profitable, efficient, and legally-sound business. If you have any questions about our small business solution services in Medina, don’t hesitate to contact your Top Rated Local® Business Solutions specialists at Quick Draw Payroll. We’ll work with you every step of the way, from the startup process to forming long-term goals for your company and beyond, while ensuring sound financial practices, regulator compliance, and more. There’s no way to overstate the importance of administrative outsourcing when it comes to developing a solid foundation for your company. Often times, business owners will wait too long in order to seek out help with bookkeeping and payroll solutions that will work for their company and, instead rely on their own knowledge or inexperienced employees to get the job done. This inevitably will lead to months or years of bookkeeping errors or poorly implemented tax planning that will stunt your company’s growth and result in more risky business practices. Management: Without an experienced bookkeeper and payroll specialist working within your company, there will be no opportunity to train new accounting specialists as your company grows. With outsourcing services, you’ll have the opportunity to train employees on financial management as your company grows. Resource usage: Running an efficient business requires knowing how to manage and focus your resources. Nobody knows your company better than you and your employees, so why not let an experienced professional handle your payroll and bookkeeping while you and your employees focus on driving sales and managing customer relations. Full-service consulting: Aside from managing your payroll and bookkeeping, having effective consulting services is key to planning your company’s strategy and feeling secure about the financial decisions you make. Quick Draw Payroll will work closely with you to ensure that you understand the implications of certain financial decisions and help you understand financial reports that are crucial to your company’s success. Community-driven: At Quick Draw Payroll, we’re motivated by our commitment to local our community and local Medina businesses. As native Texans ourselves, we want to see your Medina business achieve its full potential by aligning our solutions with the specific needs of your company. Established in 2002, Quick Draw Payroll, previously Starlight Bookkeeping, has served Medina, Bandera and San Antonio with small business services that bolster the local economy and provide practical solutions for all types of organizational structures including not for profit, s-corps, c-corps, sole proprietorships, limited liability partnerships, and trusts. We aim to be the best small business solutions provider in the area by developing loyal clients through our bookkeeping, tax, and payroll services. 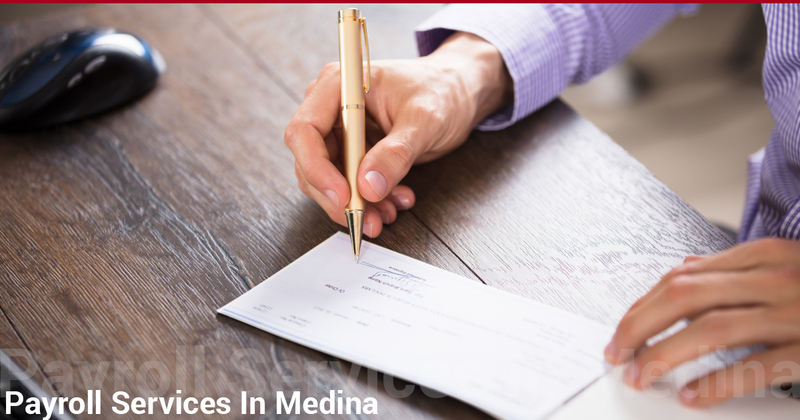 Call us today to learn more about our general business operations, tax planning & preparation, and custom business solutions for running your Medina business. Either call us at (830) 214-2093, or fill out the contact form below to have us contact you—don’t hesitate! There’s no better time than now to get the business solution services you need.